Today, we’re going to talk about donor prospect outreach. Specifically, methods you can incorporate into your fundraising efforts to attract new donors to your nonprofit. In How to Attract New Donors – Part 1, we discussed how to identify prospects and tried-and-true research methods. Now that you have a solid strategy and a great message to share with prospects, how do you get their attention? Volunteers are already giving you their most valuable gift—their time. Get to know why they volunteer, where they work, and what your common interests are. If you’re not including them in your fundraising appeals, you’re missing a golden opportunity. Turn your board into advocates. Share tips with your board about how to bring their involvement with your nonprofit up in casual conversation with friends and colleagues. Give them the tools they need to feel comfortable talking about you. The power of social media, combined with the ease of online giving, has contributed to the rise in popularity of peer-to-peer fundraising. Encourage dedicated donors to spread the word among their friends and family. These initiatives introduce you to new donors through a respected, trusted referral. Start a community Open House or Town Hall discussion series. Invite people to your office or partner with a local café or bookstore. This is a wonderful opportunity to gather contact information, increase engagement, and hear firsthand what people think and feel. Collaborate with like-minded organizations to build trust with an extended audience. If you’re an introvert, don’t think about having to “work the room.” Start by meeting one or two new people at each event. 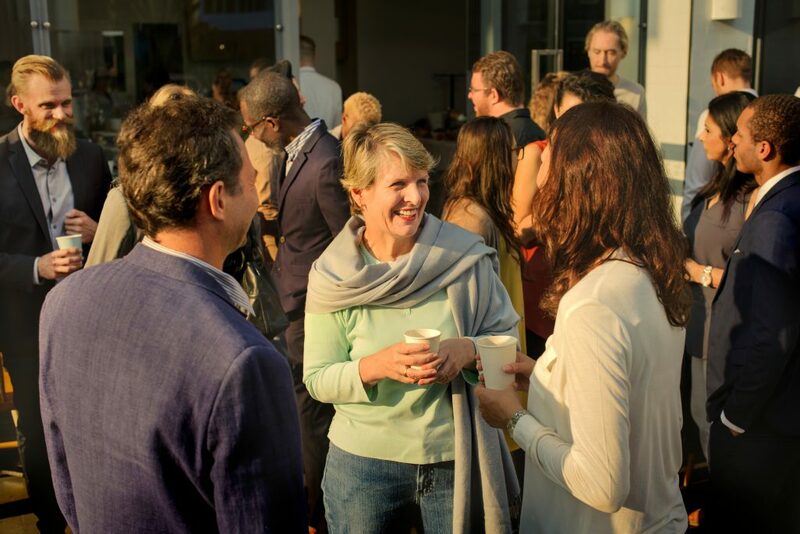 Move up to challenging yourself to make five new connections before you leave an event. Before you know it, you’ll recognize familiar faces and build your network. Ask board members and donors you have a close relationship with to throw house parties and invite friends and colleagues. Use a brief portion of the evening to share your organization’s work with the room. Ask your host to speak about why they support you and encourage others to give. Use a guest book (or laptop) to collect mailing addresses and emails, and follow up with guests the next day to say how good it was to meet them. Start a young professionals group to attract more Millennial and Gen X donors. Host casual events like happy hours, book clubs, and social activities. Add purpose to your party by providing relevant information and a call to action. Invite regular attendees to be part of a peer-to-peer campaign or invite them to join your board and grow your diversity. If your corporate partners offer employee matching gift programs, make sure you’re featured in their internal updates. What opportunities do you have that a corporate partner might be interested in supporting, thereby advertising you to their clients and customers? No matter your staff or budget size, dedicating time and resources to regular donor acquisition activities is essential to the health of your organization. Incorporate these ideas into your donor acquisition campaign to create an engaging donor experience from the very beginning. Download our eGuide, New Donors: Getting the Ungettable Get, for more insights into what it takes to find, attract, and retain new donors.